All plants need water– even those that are tolerant of our summer dry conditions. Water makes up 90-98% of every plant we grow. It’s needed for photosynthesis, as well as reproduction and defense against pests. What happens to a plant when the thermometer tops 100 degrees? Are there some plants that can survive tough times more easily? Photosynthesis is one of the most remarkable biochemical processes on earth and allows plants to use sunlight to make food from water and carbon dioxide. At temperatures about 104 degrees, however, the enzymes that carry out photosynthesis lose their shape and functionality. A garden that provides optimum light and water but gets too hot will be less vigorous. Tomatoes, for example, will drop blossoms and not set fruit if temperatures are over 90 degrees. Plants that do endure hight heat may be stunted and weakened attracting pests and diseases even if water is available. Plants have natural systems that respond to heat problems. Plants can cool themselves by pumping water out through the leaves for a kind of swamp cooler effect. They can also make “heat-shock” proteins which reduces problems from over heating. All these strategies can take resources away from a plants other needs like growth, flowering and fruiting. It’s no surprise that many California natives are adapted to high temperatures. 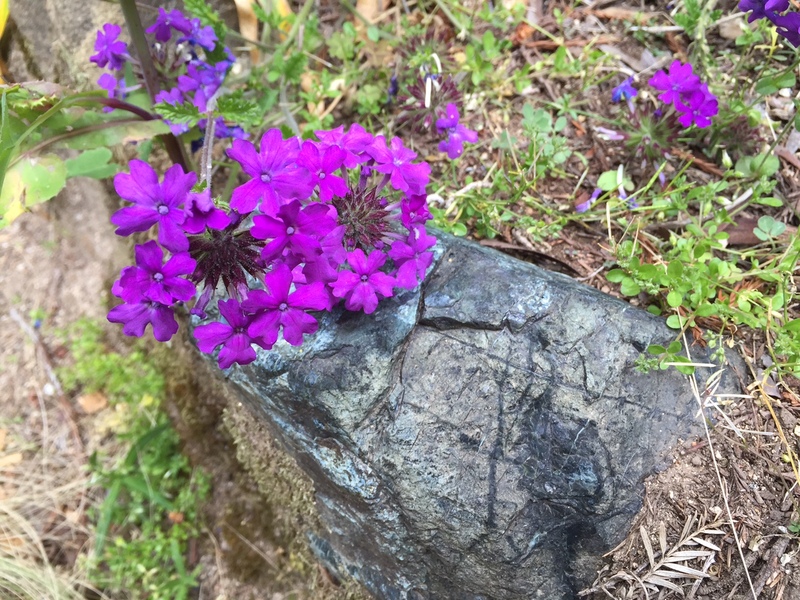 Some California native plants that can handle the heat with little water include salvia, mimulus, California fuchsia, eriogonum, manzanita, artemisia, California milkweed, ceanothus, mountain mahogany, bush poppy, bush lupine, native penstemon, monardella, mahonia nevinii, fremontodendron and holly-leafed cherry. 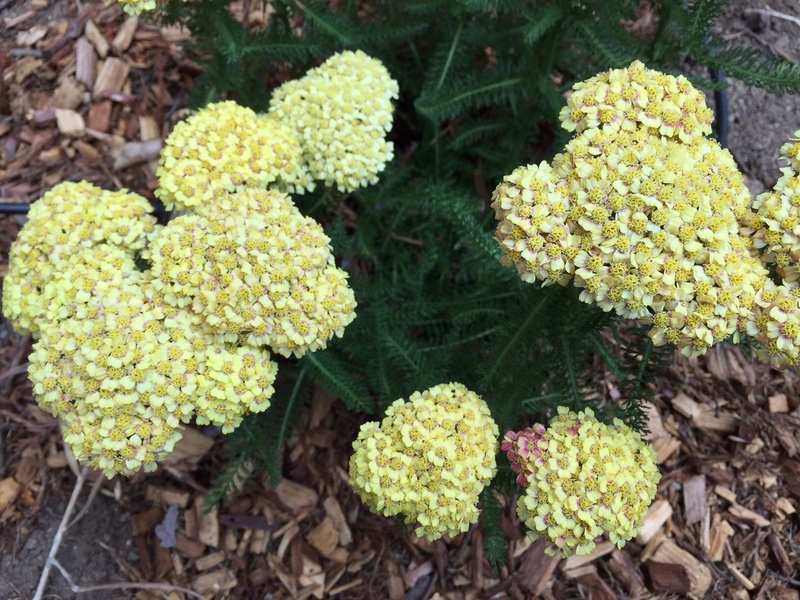 Other well adapted plants that are known to be more tolerant of heat include butterfly bush, germander, rosemary, smoke tree, rudbeckia, coreopsis, lantana, plumbago, gaillardia, lilac, sedums, oregano and verbena. Be sure that you water trees and shrubs deeply checking soil moisture first with a trowel. Established small to medium shrubs should be watered when the top 3-6″ is dry, large shrubs and trees when the top 6-12″ is dry. As a rule of thumb, trees and large shrubs need deep but infrequent irrigation. They should be on a separate valve than your smaller shrubs and perennials. Water ornamental trees 1-3 times per month depending on the type and soil. Tree roots grow 12-36” deep and require 10 gallons of water per inch of trunk diameter. Apply water with a soaker hose, drip system emitters or hand held hose with shut off and soft spray attachment according to your water district’s restrictions. Don’t dig holes in the ground in an effort to water deeply. This dries out roots even more. Be sure to water the root zone to the indicated root depth every time you water. Watering deeper than the root zone only means you are wasting water. You can test how deep you watered by pushing a smooth rod that’s 1/4 inch – 3/8 inch in diameter into the ground soon after you irrigate. The soil probe should easily slide through the wet soil but become difficult to push when reaching dry soil. The roots of smaller shrubs are 12-24” deep in the soil. Established native shrubs may need only monthly waterings to keep them looking their best while other shrubs may need watering every 7-10 days during the heat of the summer. Perennial roots only go down 12” or so and may need watering once or twice a week depending on type. My garden is alive with birds. Butterflies and bees also seem to find it an interesting place to visit. I’m always on the look out for plants that will attract even more of these exquisite creatures. Fortunately there are many that have low water requirements which is a prerequisite these days. But how do you plant something new given the new water restrictions? And what about those existing trees, shrubs and perennials that birds, bees and butterflies depend on? How much water do they need to survive? In every garden possible I try to include low water use shrubs and perennials that attract birds. My favorite Lesser Goldfinch is partial to the seeds of yarrow, buckwheat and aster. 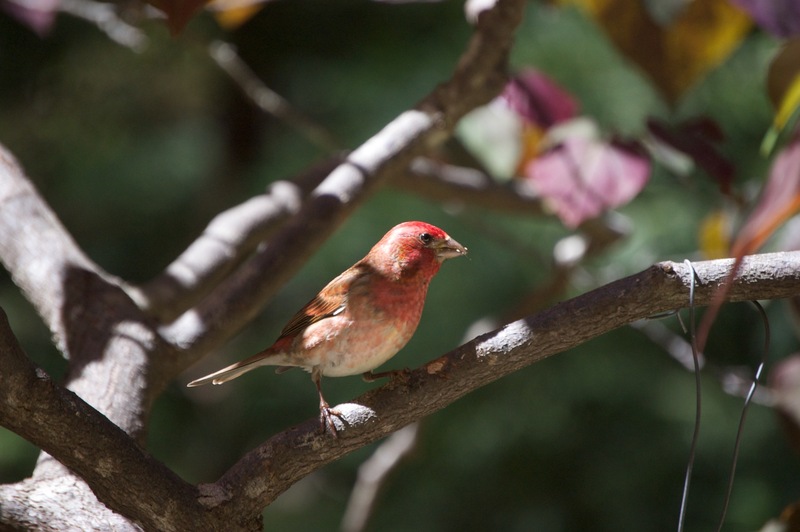 Kevin’s mahonia is favored by Western bluebirds. Blooming now in our own neck of the woods is Mexican elderberry. Their butter yellow flowers will form purple berries rich in carbohydrates and protein and attract an incredible number of birds. And I always can find space for another variety of manzanita or ceanothus. Both hummingbirds and butterflies are attracted to flowers that provide nectar. Among their favorites that won’t break your water budget are natives such as penstemon and salvia. Galvezia, mimulus, monardella, California fuchsia and ribes are also important nectar sources for them in your garden. Add a couple non-native, drought tolerant perennials like lavender, gaura, coreopsis, verbena, scabiosa, lantana and wallflower and you’ll provide a feast for all your winged visitors. As a rule of thumb, trees and large shrubs need deep but infrequent waterings. They should be on a separate valve than your smaller shrubs and perennials. 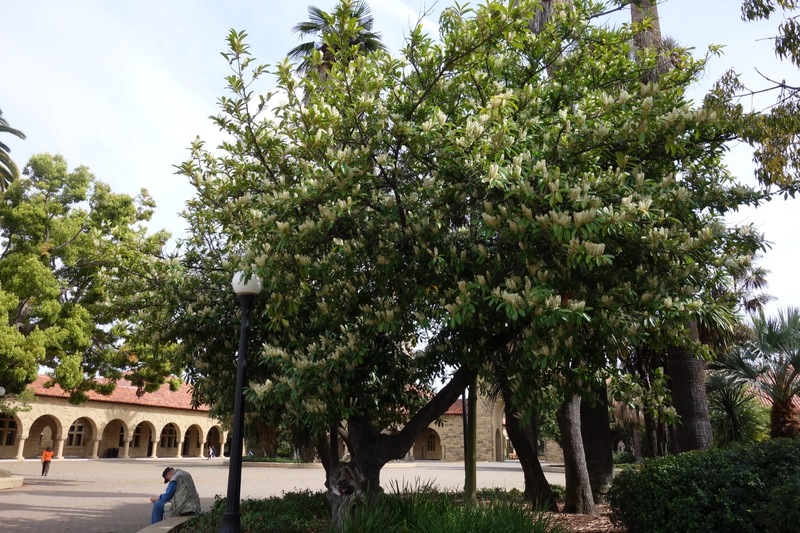 After the last two winters of little rain, many trees are showing signs of stress. 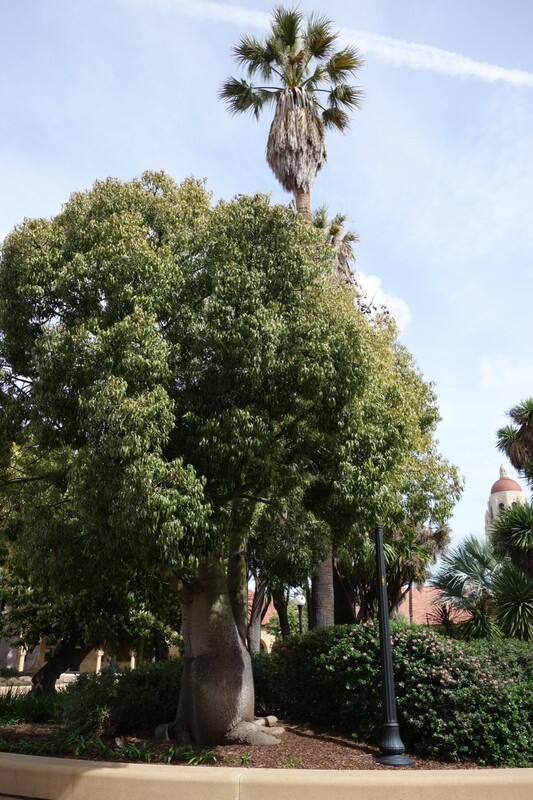 It’s not easy to replace a tree that will take 20 years to regrow if you have to replant. Water ornamental trees 1-3 times per month depending on the type and soil. Tree roots are 12-36” deep and require 10 gallons of water per inch of trunk diameter. The roots of smaller shrubs are 12-24” deep in the soil. Established native shrubs may need only monthly waterings to keep them looking their best while other shrubs may need watering every 7-10 days during the heat of the summer. Perennial roots only go down 12” or so and may need watering once or twice a week depending on it’s water needs. With lots of mulch and the above watering tips you can keep all your plants happy and healthy for everyone to enjoy. Surrounded by roses of nearly every color in the rainbow I smelled vanilla, spice and honey. The sun peaked in and out of the clouds allowing the vivid hues of the petals to change with the light. I was enjoying the garden of rose aficionados Mark and Lane Maloney of Scotts Valley. Among their 40 rose bushes I was to learn how an expert cares for these beauties. The oldest roses in the garden are 60 years of age. Mark dug them from his mother’s collection when she died in Atherton 5 years ago. 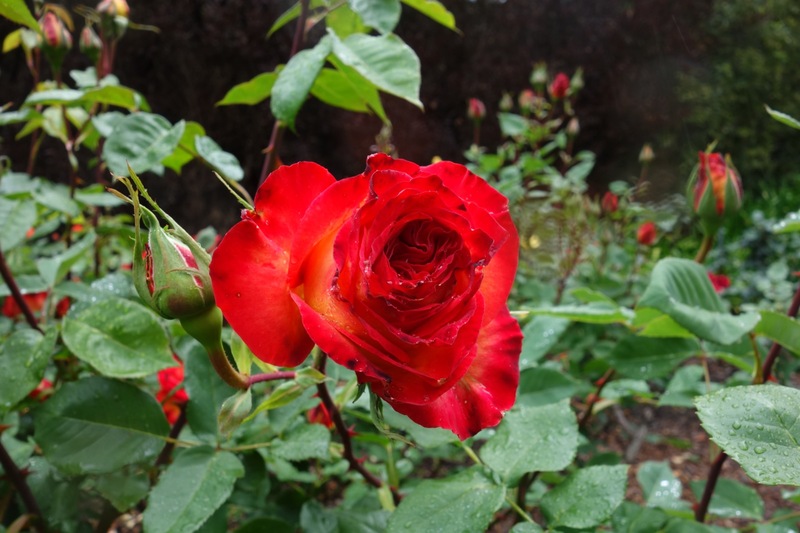 He starting collecting most of his other roses 20-30 years ago when he and Lane moved to the Scotts Valley property. Because he seldom has a rose die the only new rose in the garden is a double blooming red variety called Legend and named after Oprah. It was just starting to open on the day I visited this amazing rose garden. I asked Mark which rose is his favorite. It was hard to pin him down to just one. The garden is divided into two separate beds. 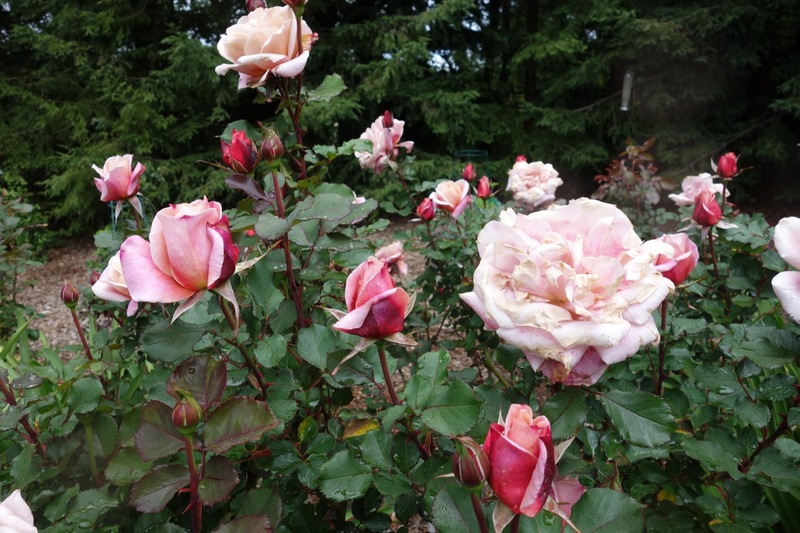 One bed is devoted entirely to roses while another blends roses with other perennials. I admired a large shrub covered with pinkish flowers and he replied “this is one my most beautiful roses. It starts out a deep dusty rose then fades to lighter shades as it ages”. Most of the roses in the garden have large ornamental name tags that he purchased online. The sign at the base read Distant Drums. I was drawn to the Double Delight as I know it’s one of the most fragrant. Another rose with an incredible scent is Dolly Parton but on this day it hadn’t opened yet. Mark described it as “big and pink”, which seems appropriate. Double Delight, like many roses, blooms in cycles. They set buds and bloom for a month, rest for a month, then set another round of blooms. Mark said he usually gets about 3 cycles per season. One of his favorite roses will bloom all summer non-stop. Strike it Rich lives up to the name with lovely sherbet-orange flowers. Mark also likes Black Magic with deep, reddish-black blooms that last 2 weeks in the garden as does another of his favorites, Fame, with pink flowers so bright they are nearly iridescent . With deep yellow blooms Gold Medal caught my attention. But then I saw St. Patrick with those cool greenish-white blooms. Mark told me that in the white rose department he thinks White Lightnin’ is a beautiful rose as is the classic, JFK. The roses in the Maloney’s garden are lush and healthy. What’s your secret I asked? Mark smiled and handed me a Rose Garden Calendar he had prepared on his computer for me. In a nutshell this is how he does it. Late December- prune heavily down to about 24″ tall. Early January- spray roses with dormant spray and again in early February. March 1- fertilize and repeat each month through September. Mark uses a systemic fertilizer which keeps insects at bay. He also uses an acid fertilizer once or twice a year as well as putting banana peels on the surface of the soil for potassium. I laughed when he told me his banana peel tip. I was nearly standing on a blackened peel with sticker still intact when he shared this info. 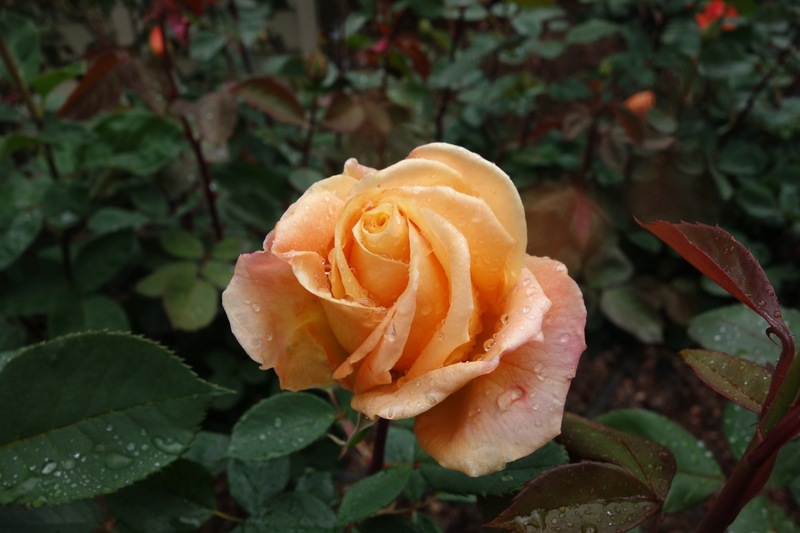 His other “secrets” include picking off diseased leaves regularly, pruning lightly throughout the year, mulching with several inches of chipped wood and watering with 1″ of water per rose each week applied in a trough surrounding the shrub. 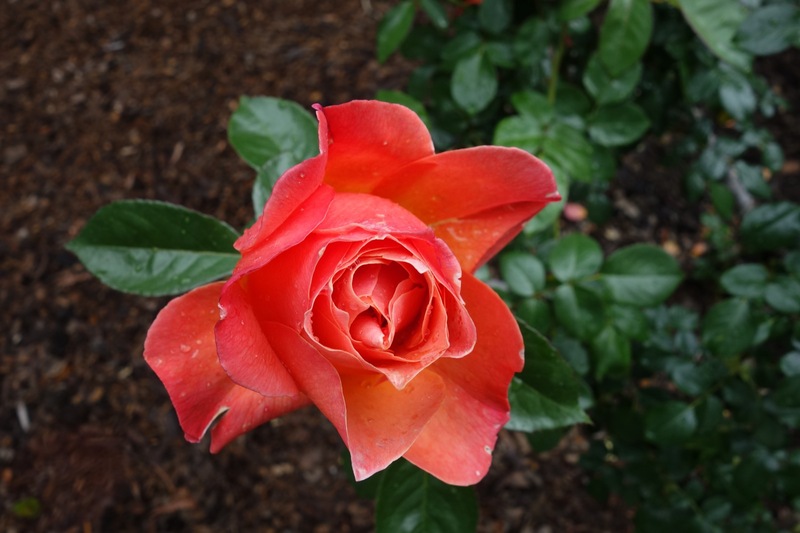 Mark is a member of ARS (American Rose Society) with he suggests as a good source of information and also rose recommendations for different areas and climates. He also maintains the roses at the Scott House at Civic Center. So when Mark talks roses, I listen.